Hello! I have been quite the busy bee over the past few months. Since April I've shared my skills with the Baltimore Bead Society, sailed the Caribbean on the Bead Cruise, moved into a new home and then spent four awesome days teaching with the Great Lakes Beadworkers Guild and in the middle of all of that my latest book was launched into the world. The bead-making awesomeness contained in the book is going to fill your days with inspiration and creativity. 52 bead-making projects using clay, plastic, wire, paper stone, wood and fiber. I had the best time creating the beads and exploring all these different materials and ways to make a bead. You could try a new one each week for entire year! 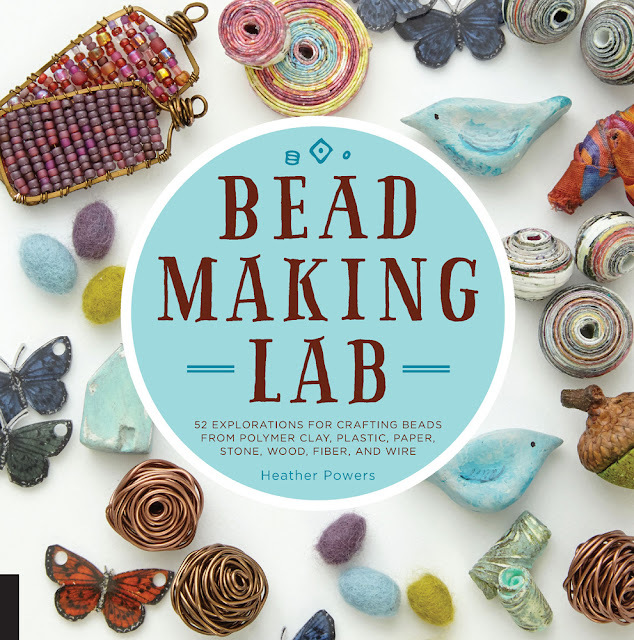 The Bead-Making Lab can be found in your local book shop or online at Amazon. (affiliate link.) I am going to host an official party for the book on June 22nd with free projects, giveaways and more! Whirlwind? Why yes it has been. The move was unexpected and has quite turned my life upside down. But box by box, it's being put back together as we settle into our sweet little home near the shores of Lake Michigan. Thankfully the move was just down the road. But a move is a move - are they ever easy? With the Bead Cruise in May and a full teaching schedule I had made the decision last year not to have a booth a Bead & Button. I confess, it was one that I went back and forth wishing I could do it all. I will miss visiting with all my customers and sharing new work in person. But I am going to be at the show, shopping, doing demos and signing books. And while my head knows it's not show time, my hands have not got the message and I have just uploaded lots of new beads to my Etsy shop. In between my shopping adventures you can find me on the show floor this weekend doing a few demos and signing books! Friday 3:00 - 4:00 p.m.
Saturday 2:00 - 3:00 p.m.
Stop by the amazing Vintaj booth to shop, visit and catch my demo featuring the Willow Metal Sketch using Vintaj metal blanks featured in my book Beautiful Elements. I'll be signing copies of Beautiful Elements in the Kalmbach book on Saturday. 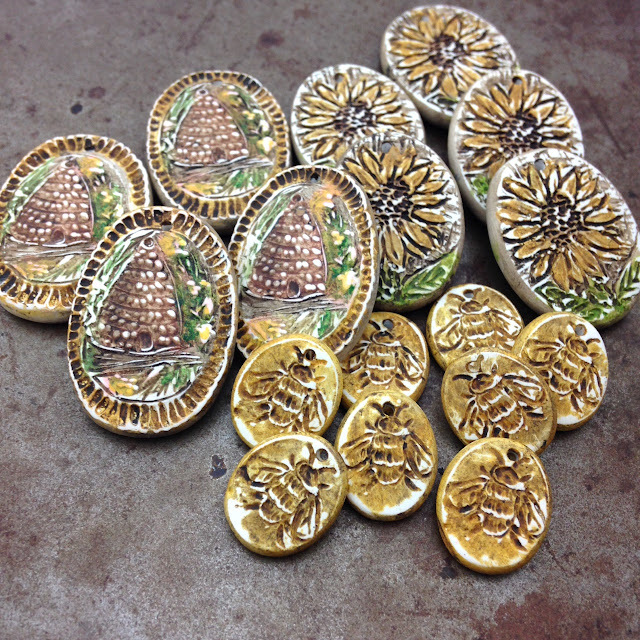 Along with signing books I'll demo how to create the silk wrapped beads from the book. I have free silk bead kits for the first 20 participants.